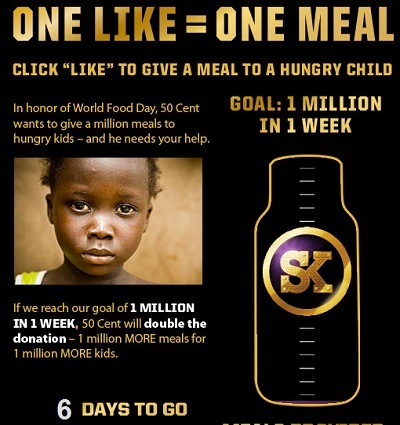 50 Cent has been working hard trying to feed millions of starving children. Here is a video of the progress being made. God job 50!